The project was started in 2001 with funding from the Vancouver Foundation and commitment from diverse community groups. From the start we wanted the process to be as important as the final product (big survey results). The process was to bring the community together around the discussion – what is your quality of life like and how would you measure it? We involved over 200 residents in the community to help make the questions for our survey. We then spent two months phoning, visiting and surveying nearly 500 people to get the results. We’re now giving the results back to the community and the decision-makers (politicians, business people, social service advocates) to make sure that we’re working together on the issues that are most pressing and celebrating our successes. We held a Community Forum in partnership with Make Children First, the Office of the Wet’suwet’en and Moricetown Band Council to familiarize the community with the results. The project is being recognized as ground-breaking and a model for the effort needed to properly involve the community. 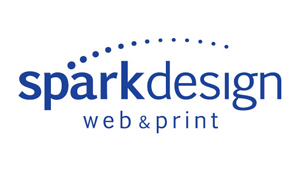 Spark Design web & printThe Smithers Community Directory website was inpart sponsored by Spark Design web & print.